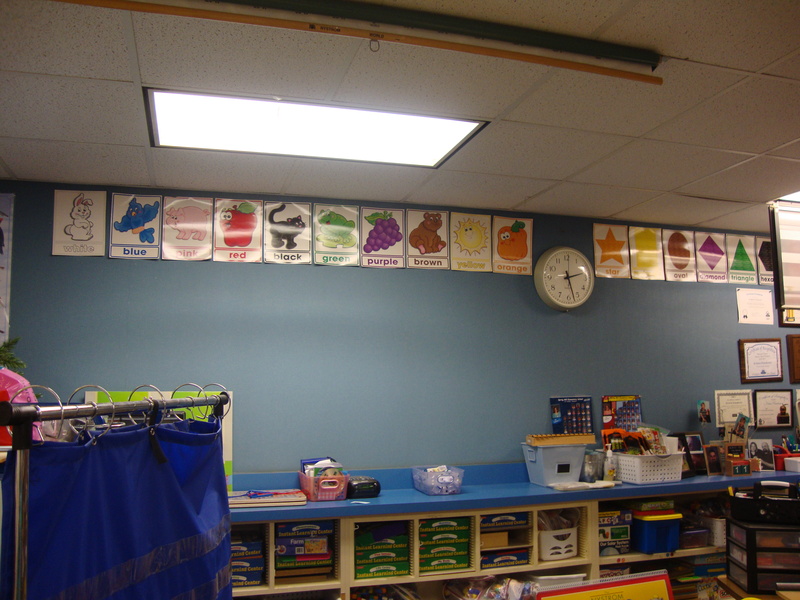 Here are pictures from my second day putting my classroom back together. 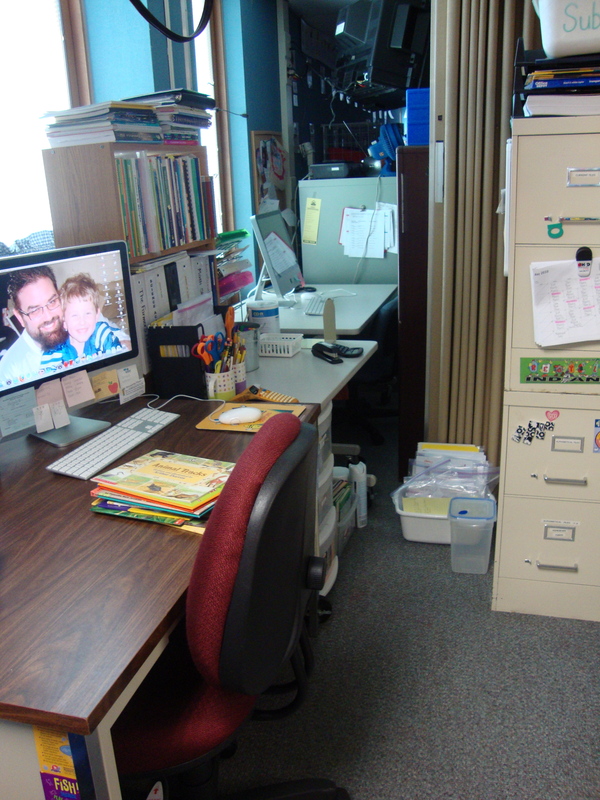 This is my desk area–notice how it’s still clean! 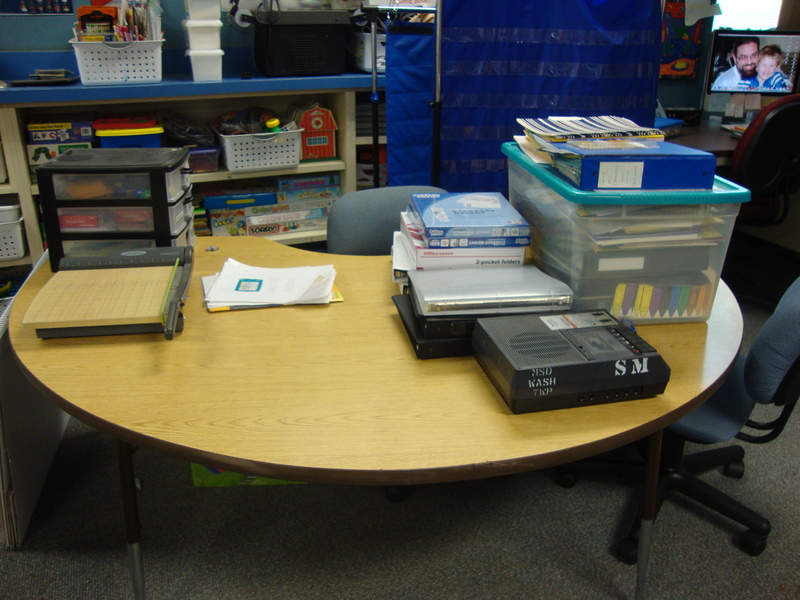 My small group table covered in things I need to do/use before school starts! 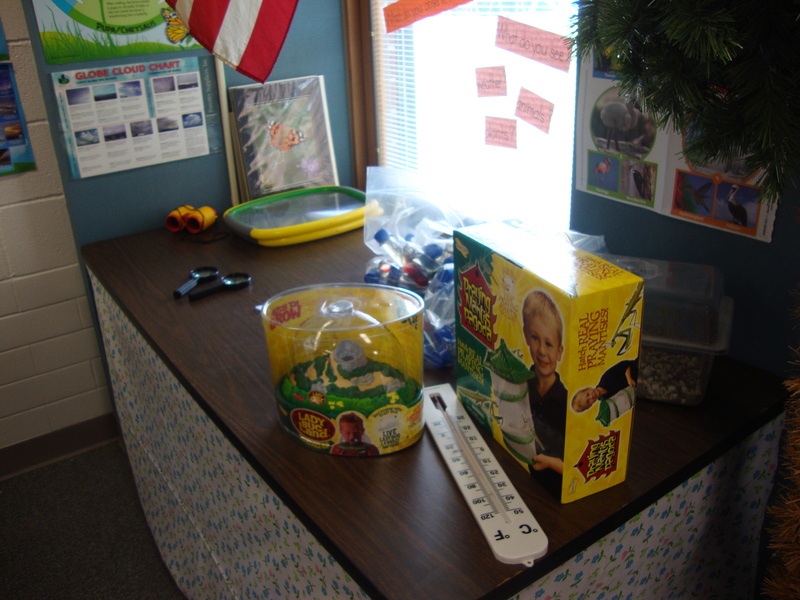 The beginnings of my Science Work Station/Science Center. 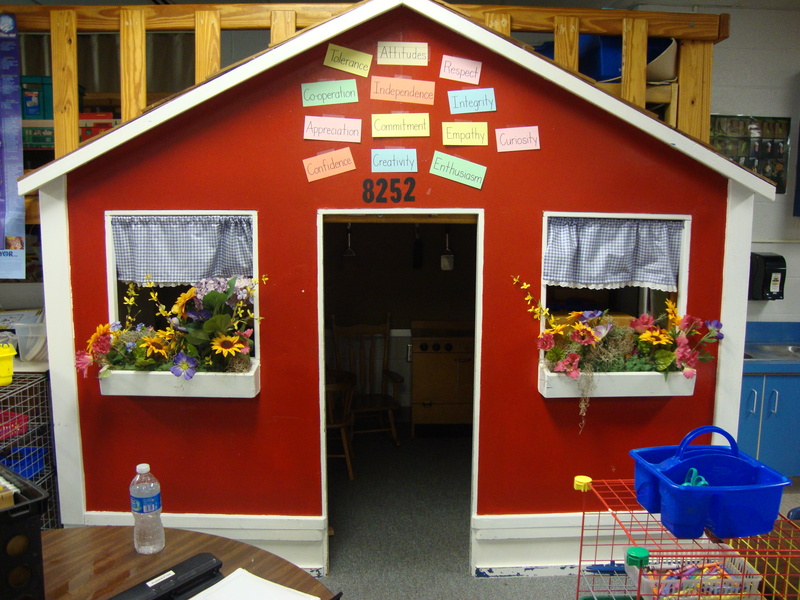 This is an outside look at my playhouse area. This was already in my classroom when I got there. I’m doing a 50th year book for our school’s 50th year and have determined that it arrived some time in the early to mid 70’s. It was just the front of the house and one side at that time. See the white baseboards on the house? That was an extension that was added in the 80’s to make it taller. In the 90’s a loft was added to the top. It’s been pretty neat to see the progression of this house since it was built. A look inside. There are no lights inside other than the light from the 3 windows. I used to have a lamp it here on top of the fridge, but the kids kept dropping the light on the floor and breaking the bulb–so no more light! I’ve been working most of the day today on my Library Work Station. 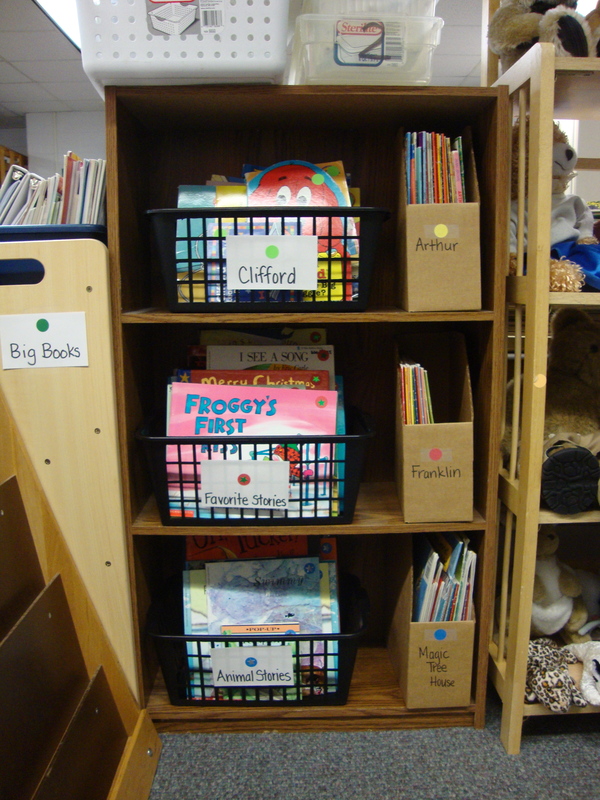 I sorted all the books out (Debbie Diller says not to put too many out at the beginning of the year and to introduce more tubs as you learn about a particular author, topic, etc.) and put dots on them to help get them back to their homes. 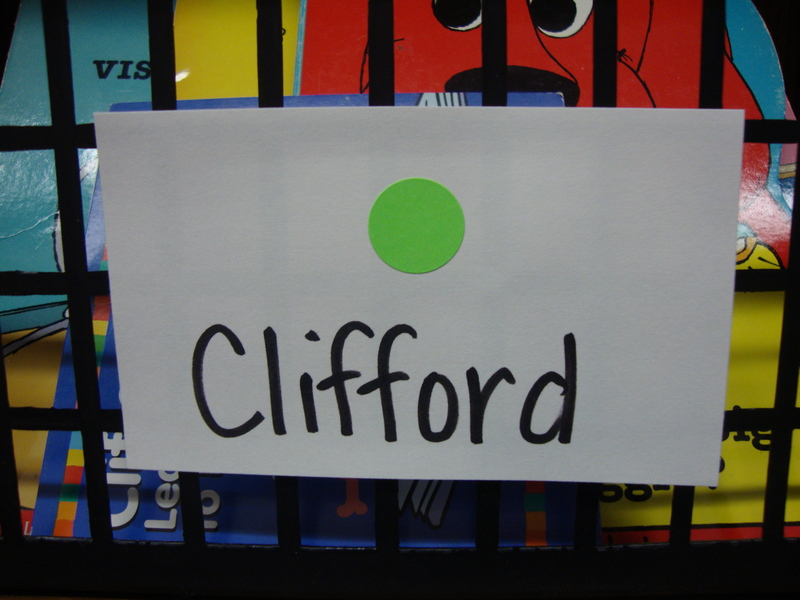 The next couple of pictures show some books up close and some of the dots and their cards. Here is the skirt I made for the book case I don’t want to have open just yet. 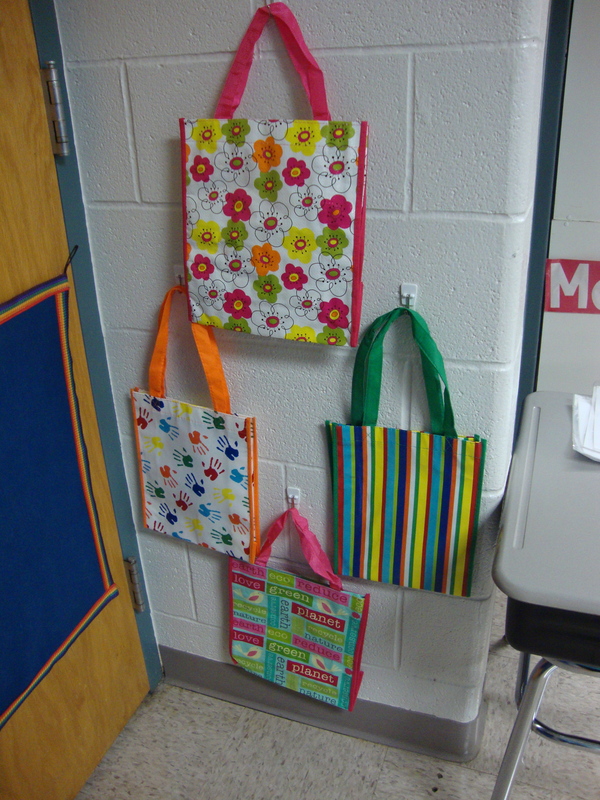 These bags will each hold one book and the drama props that go with it. I thought this would be an easier way to get everything put back in the right places. 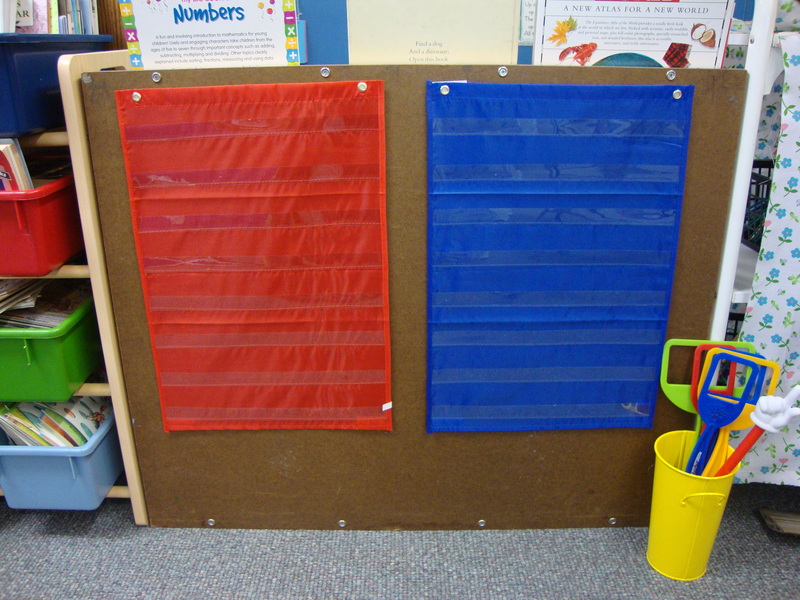 The kids can see which bag is empty or not off the wall and know where to put the items back in. I was also thinking of getting some self-adhesive pockets to put on the outside of each bag so that I could label each bag with the title of the book inside. Then, when I changed the book, I could just change the card as well. 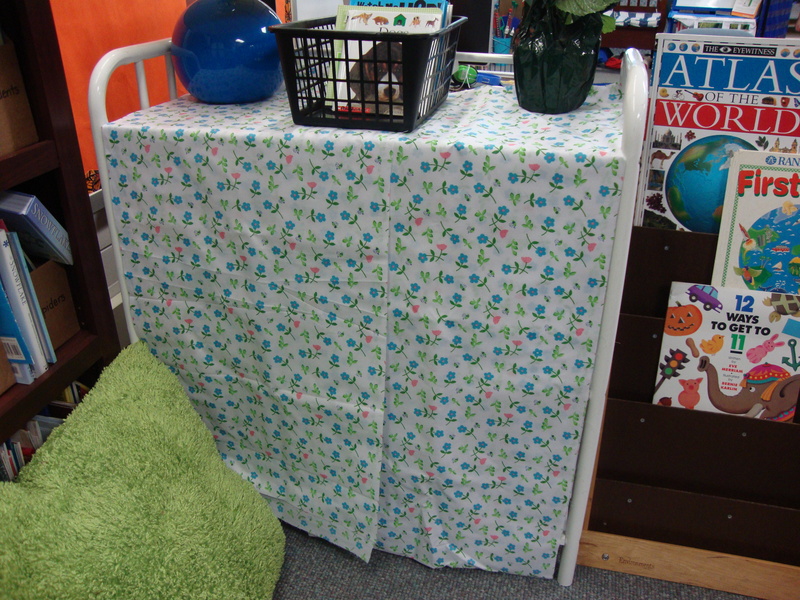 Here is my new Word Work Station. 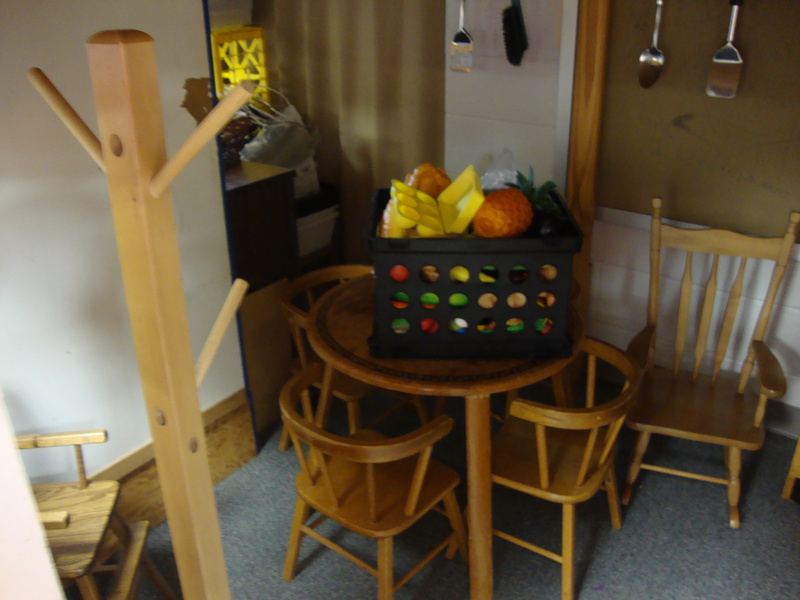 The children will be using different poems here as well as doing activities with their names. 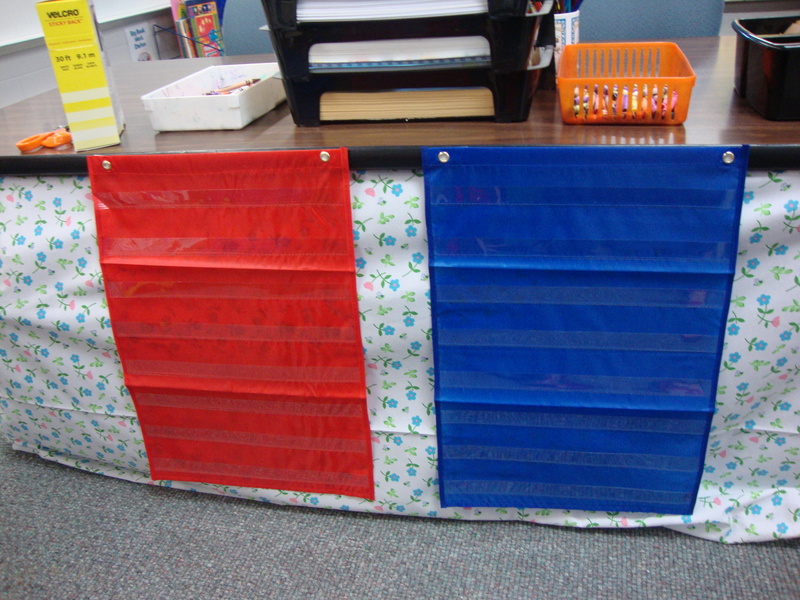 I also added two more pocket charts directly behind the other two (you can see that in the next picture), so that two children can work independently of each other if they would like to. My new Overhead Work Station. Last year I had it sitting on the table which took away a spot for a child. This year it will sit on this cart. 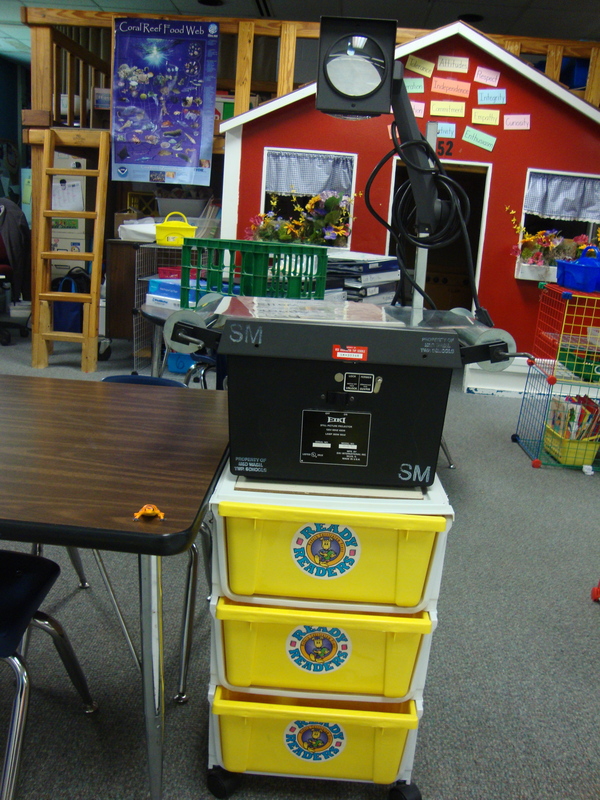 It now sits directly across from the screen, we can store things in the drawers to be used at this station, and it’s on wheels so we can move it if we need to. Today, I moved the color words from underneath the shape words (on the right side of this picture) to the left of my clock. I wanted to create more room for my Kit Inventory Wall and a Science Word Wall. 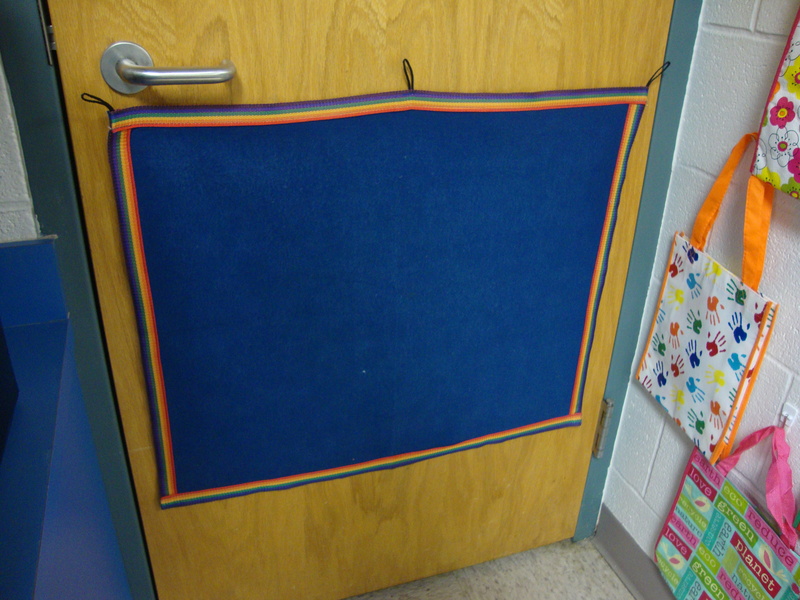 I plan on putting up some white paper and a Science-y border in the blue space that you see. My front board–starting to come “back to life”! Enjoy and I hope these give you some ideas! 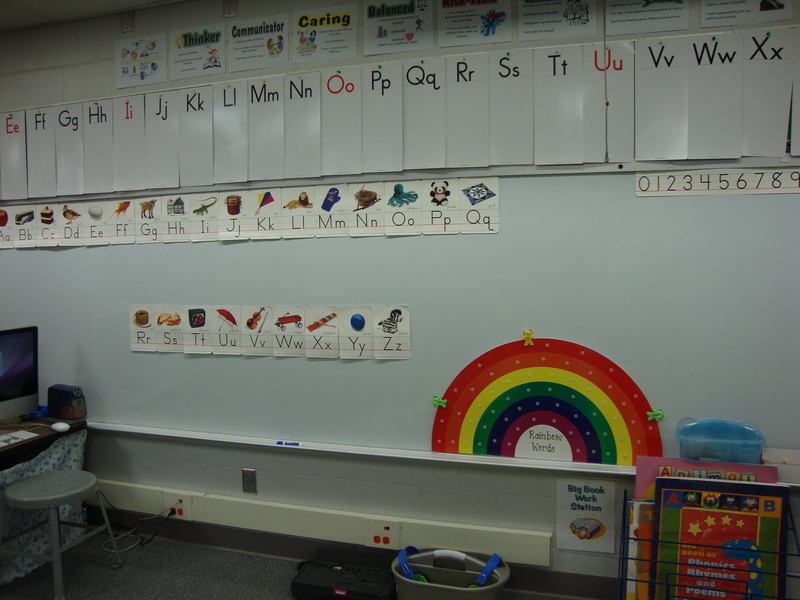 Posted on July 29, 2010, in 2010-2011 Classroom Pictures, Classroom layout, Literacy Work Stations. Bookmark the permalink. 11 Comments. 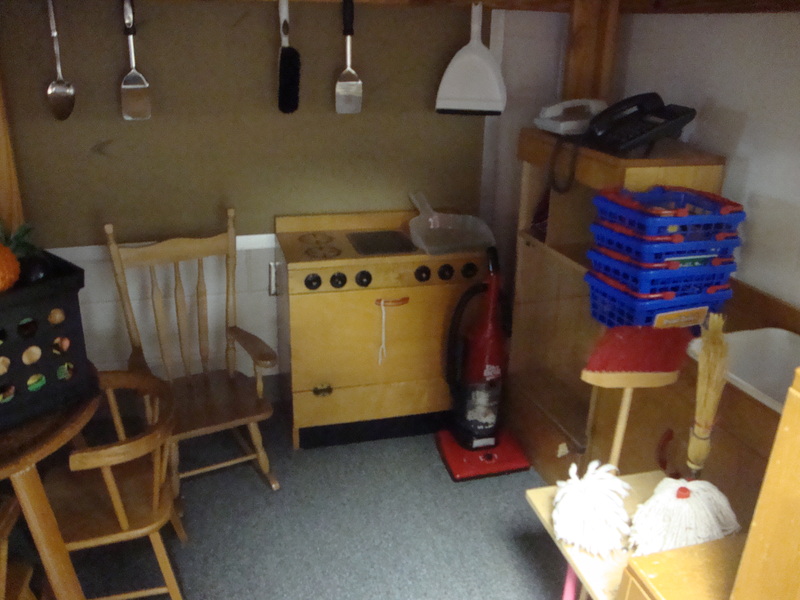 I like the clean desk, but notice you didn’t take a picture of the area under the loft :-)…and what’s up in the loft? It’s nice that you share pictures with the world. It must be a techie thing, some days around you I feel really old. Getting excited for school, the dreams have begun (nightmares actually) of children running amok. Do other people have dreams like that? Wow…you have a lot of great ideas. I’ve been inspired. The stars on the circle stickers when you run out of colors…brilliant! The room looks great! 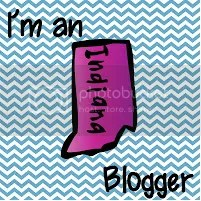 I just got back from vacation and now I am itching to get started. I like the bag idea for the drama prop station. My goal is to find a good spot on the wall for science! I’m assuming the last photo includes your word wall with the letters. Is that some sort of wipe-off paper that you have the letters on? Where did you get the rolling cart that you have your overhead sitting on?? I really need something like that. 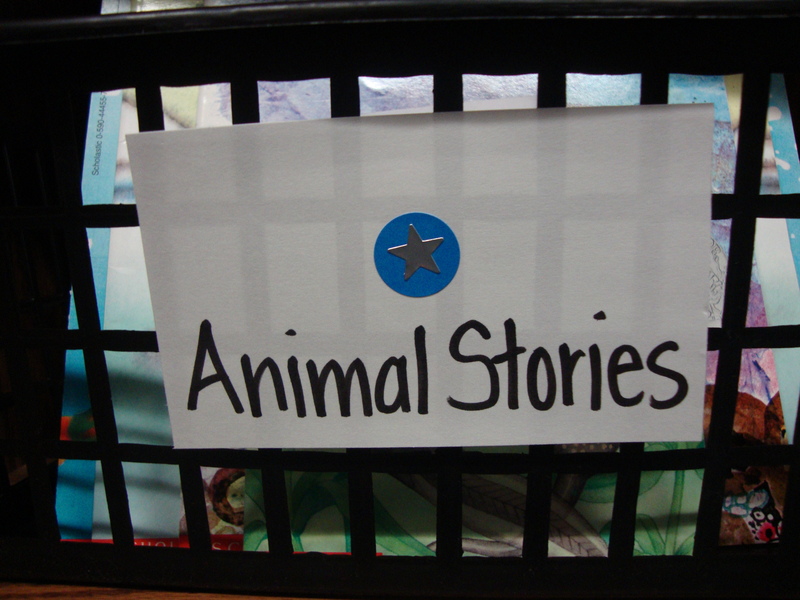 I like the idea of not introducing all of the books until you’ve taught the kids more about them. 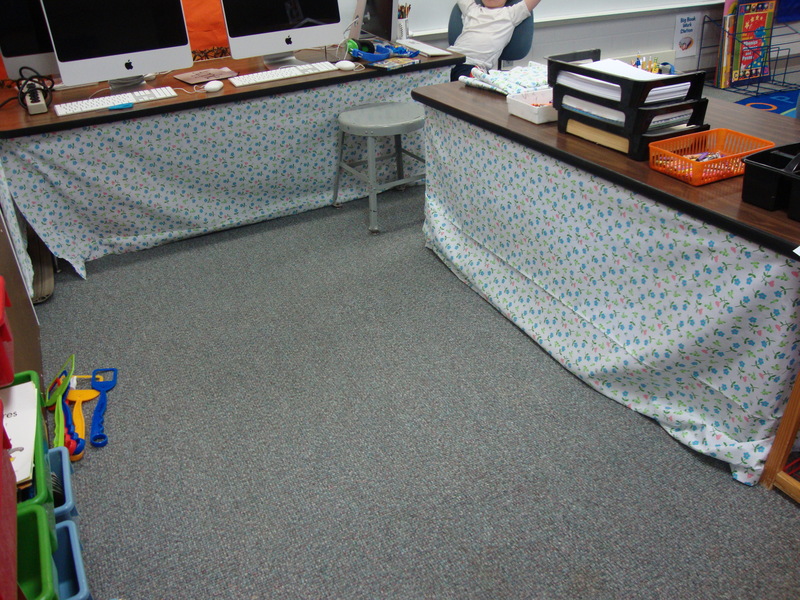 Did you just use a big piece of fabric or a sheet to cover up the books you don’t want to introduce? When you introduce them slowly will you bring them to another shelf until you are ready to open that whole shelf? 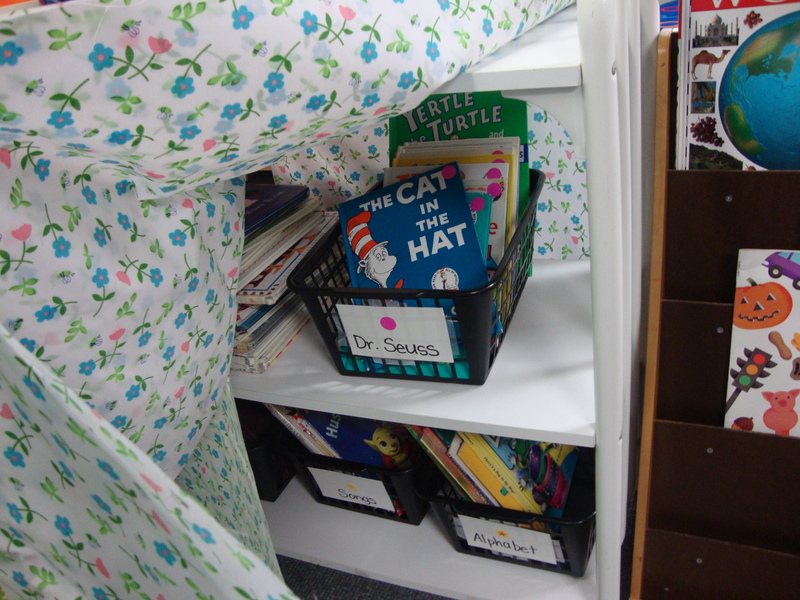 I did cover the rest of the bookshelves with big pieces of fabric and gave instructions not to lift it up (so far it’s worked!). 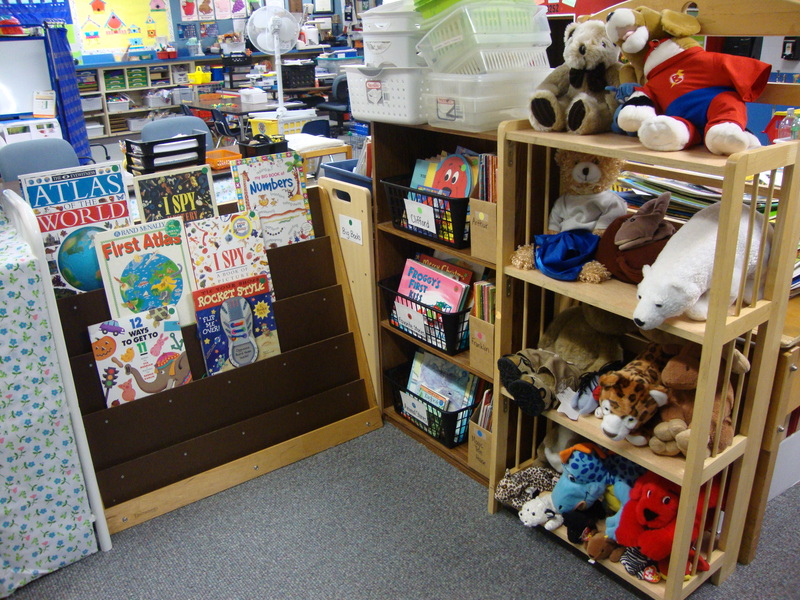 I will just un-cover those shelves when we are ready to have the children use those books. Can you email me? 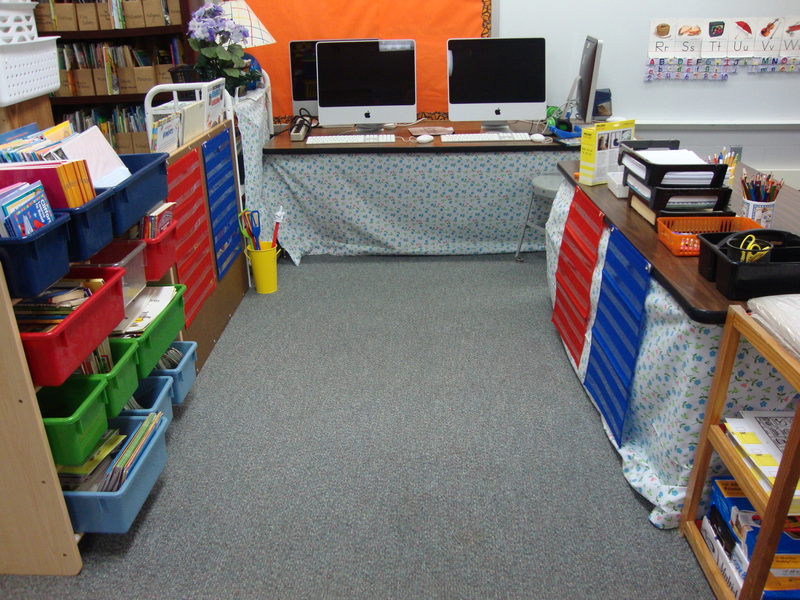 I’d like to post some of your drama area pictures on my blog (with permission and a link) and tell you about devokids. Love your website. I am sure you are really busy, I am wondering what is an OWL chart and how do you use it? Thanks! An OWL chart is my version of a KWL chart. 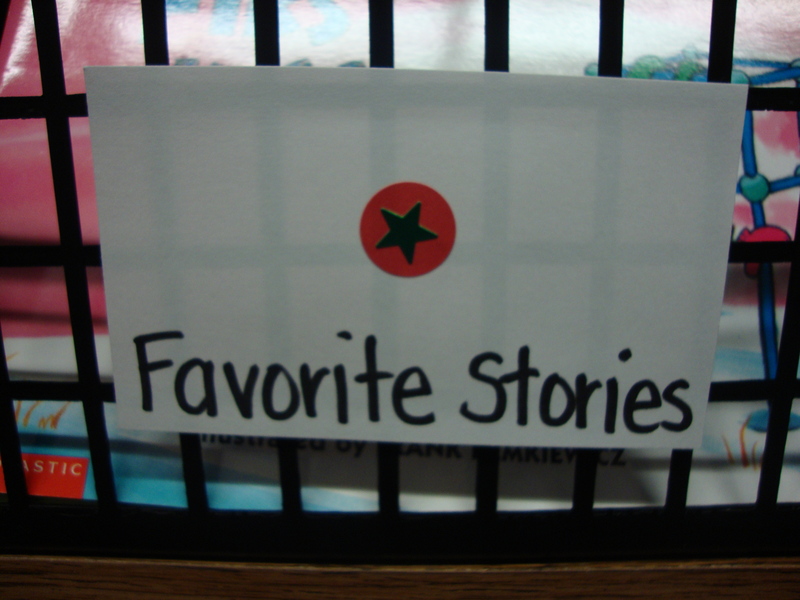 The O represents “Observations”, so we would list observations we made about something. The W is “What We Know already” and the L is for “What we learned”.